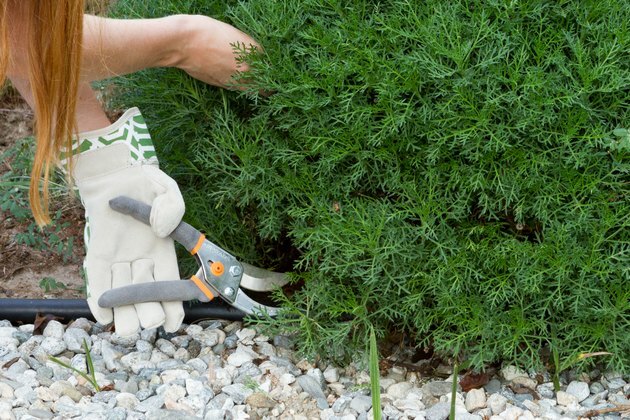 Cutting down an unwanted bush is only half the battle. The stump left behind is unsightly and, depending on the location, may be a tripping hazard. Worse yet, the bush may attempt a phoenix-like comeback by sprouting new growth from the stump. If you have the patience of Job, you can simply cover the stump with an inverted plastic bucket weighted with a rock and wait for nature to take its course. But, if you want to speed things along, you can help Mother Nature using materials you probably have on hand in your cupboards. 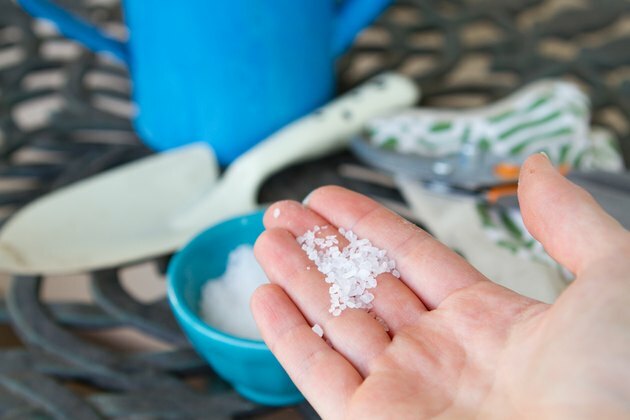 Salt is a desiccant, which means it draws moisture out of whatever it touches. 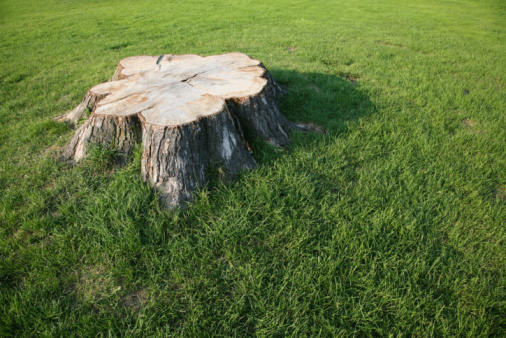 Since plants need moisture to grow, salt's drying action will speed the death of a stump and the attached root system. Although it is very effective, salt has a downside. 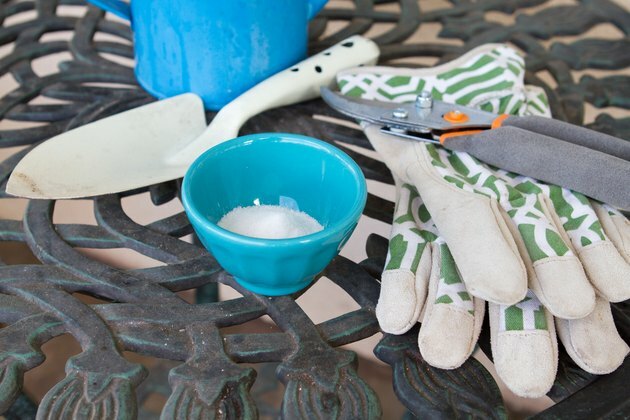 It stays in the soil for a very long time and, since it is water-soluble, the rain will carry it to other parts of your landscape where it may kill off plants you don't want to lose. To minimize the chances of collateral damage, bore vertical holes into the stump and pour the salt -- either rock salt or table salt -- directly into the holes. Vinegar also is a drying agent and it's gentler on the environment than salt, but it's not quite as effective. You may need persistence and multiple applications to kill off your stump completely. 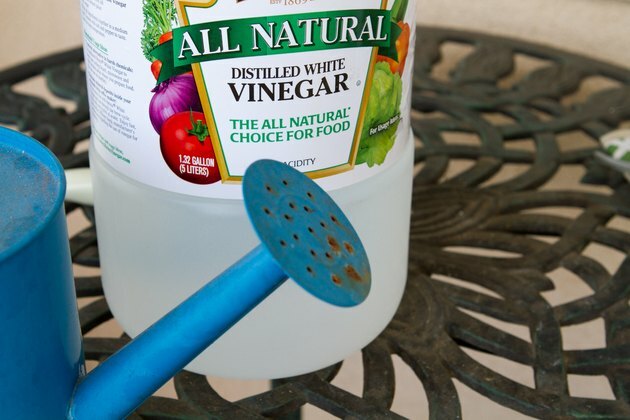 Pour white vinegar directly on the freshly cut portion of the stump, or if the stump has been around awhile, bore vertical holes into the top of it. Be careful to avoid spillover to nearby plants when pouring. Epsom salt isn't really salt. It's mostly magnesium sulfate and it's a lot safer for the environment than salt or vinegar. In fact, in small amounts, magnesium helps seeds to sprout and produce chlorophyll, and small amounts of sulfur help plants to produce vitamins. 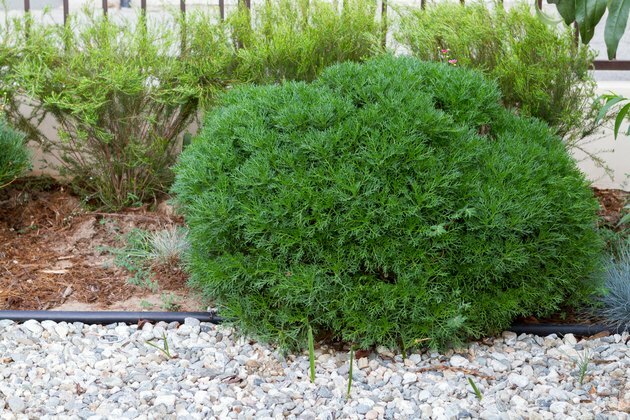 If you want to kill a bush stump, simply give it too much of this otherwise beneficial product. Spread it liberally on the cut portion of the stump and around the roots. The new sprouts that typically appear when you cut down a bush produce chemicals like chlorophyll that the roots need to survive. Keep cutting off those shoots and you will eventually starve the roots to death, but it's a slow process. To speed things along, create an environment favorable for the tiny fungi that carry out the work of the decay process. In particular, they need moisture and a nitrogen source. 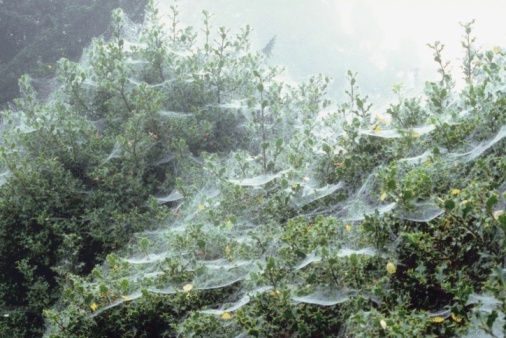 Rotting is most active when the temperature is between 50 and 90 degrees Fahrenheit. After cutting down the bush, bore vertical holes into the stump, add a high-nitrogen fertilizer and keep the stump moist, but not overly wet. You can introduce fungi to the stump and help keep the temperature in the ideal range by covering the stump with soil or making it the center of your compost pile.